Ron Stewart's TRANTER BOOK is the reference book all serious collectors have been waiting for and a 'must have' for any library. This 302 page, hard cover book comes complete with a dust jacket. It is printed on glossy paper, and contains a balance of comprehensive text and photographs. Also, there is a special colour photograph section on casings. 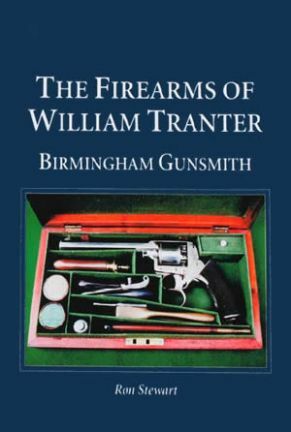 The book covers both Tranter rifles and pistols. Ron had completed the text, collected and sorted the photographs before his passing and we have done our very best to complete as he would have wished. As the late Douglas Nie's uncompleted and unpublished work has been inaccessible in a Birmingham museum since his death, this book is the only Tranter reference work available. Ron would be delighted that over 20 years of his own work is now available to all as he had always intended.